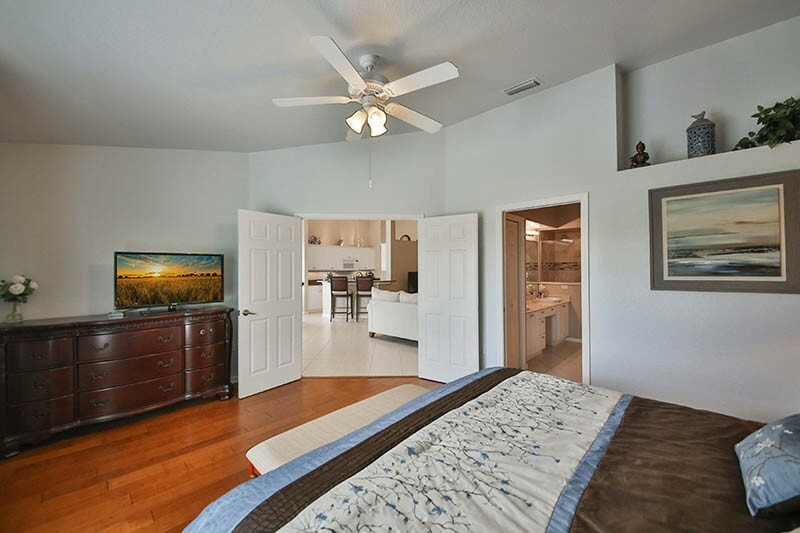 AVAILABLE 2020 Season with a 4 month minimum rental OR ANNUALLY (furnished) at $3,000. 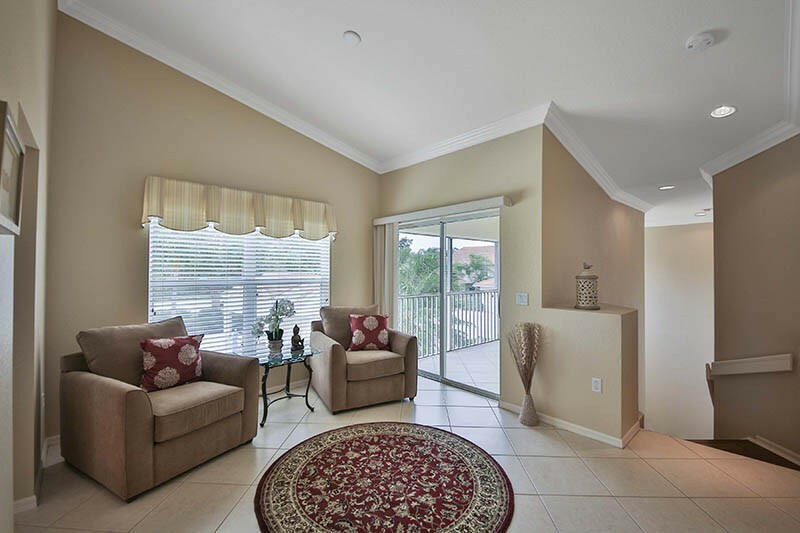 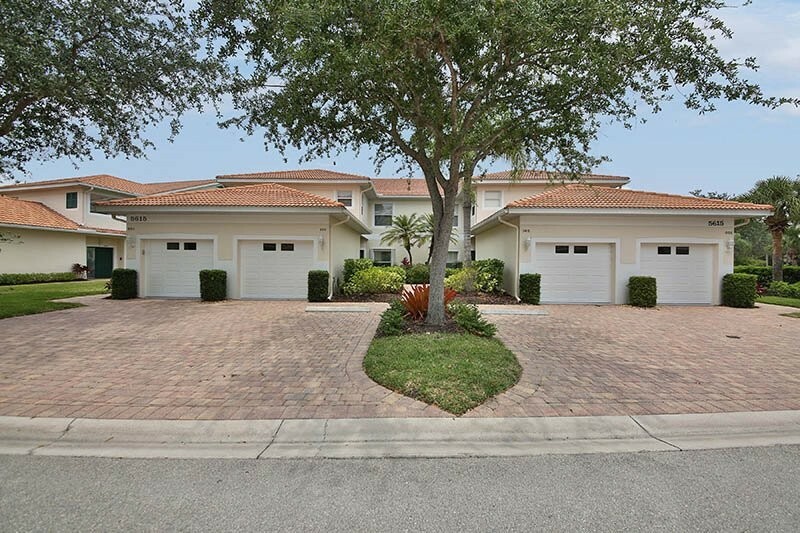 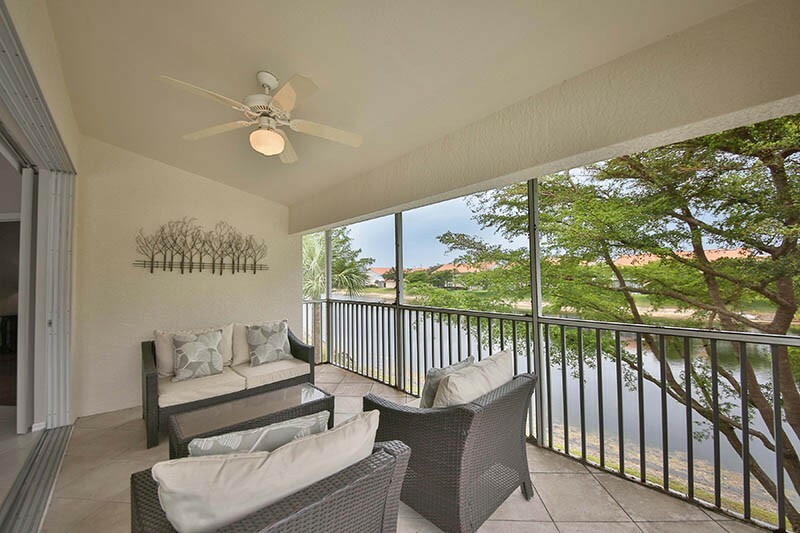 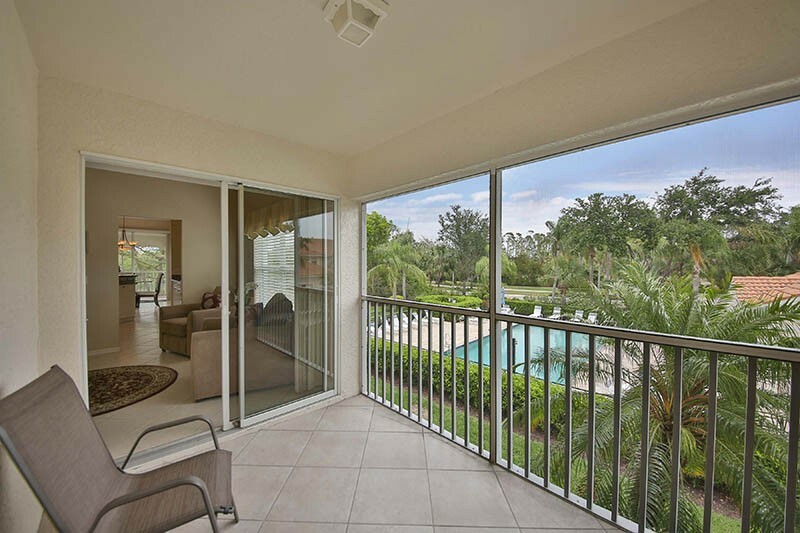 Enjoy this spacious 3 bedroom 2 bath second floor condominium in the gated North Naples community of Carlton Lakes. 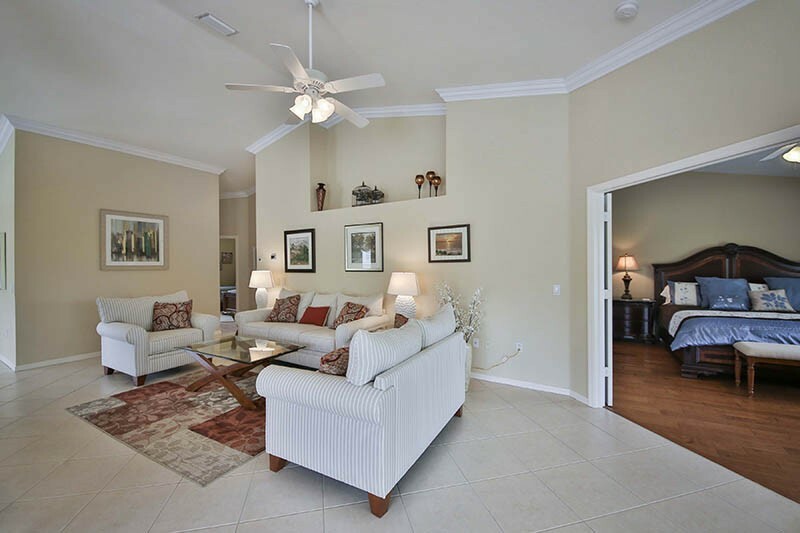 The first floor entry leads you upstairs to an exquisitely decorated 1928 square feet under air with vaulted ceilings, crown molding and two screened lanais. 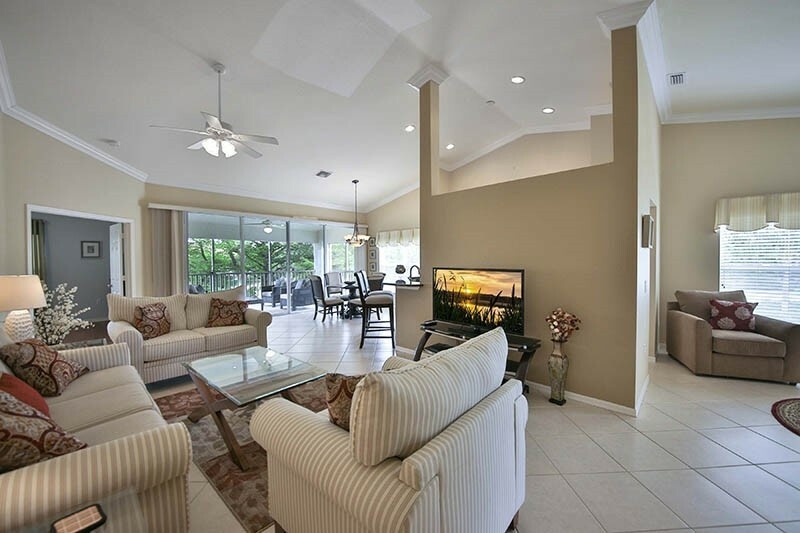 The living room, dining room and kitchen all overlook the lake and fountain. 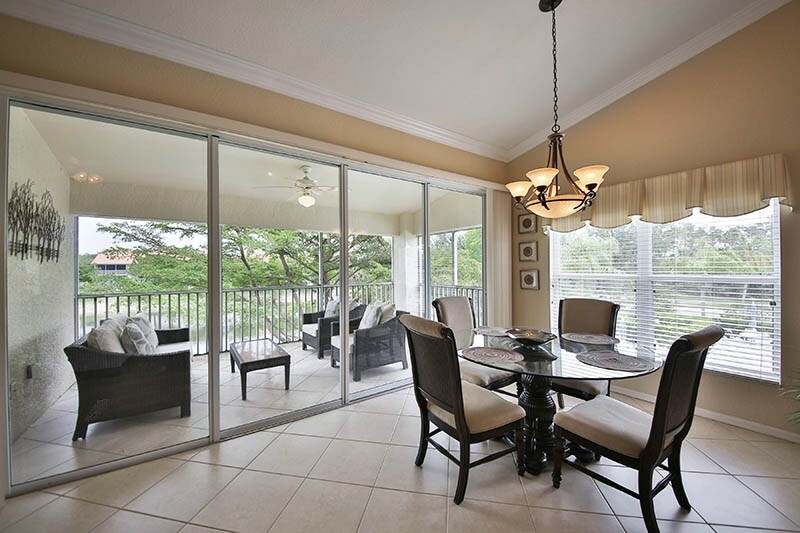 A second lanai adjoins a separate seating nook. 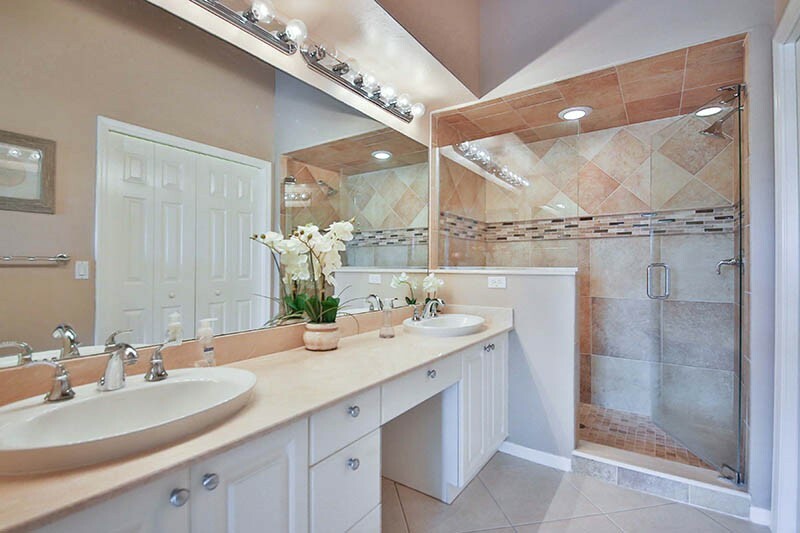 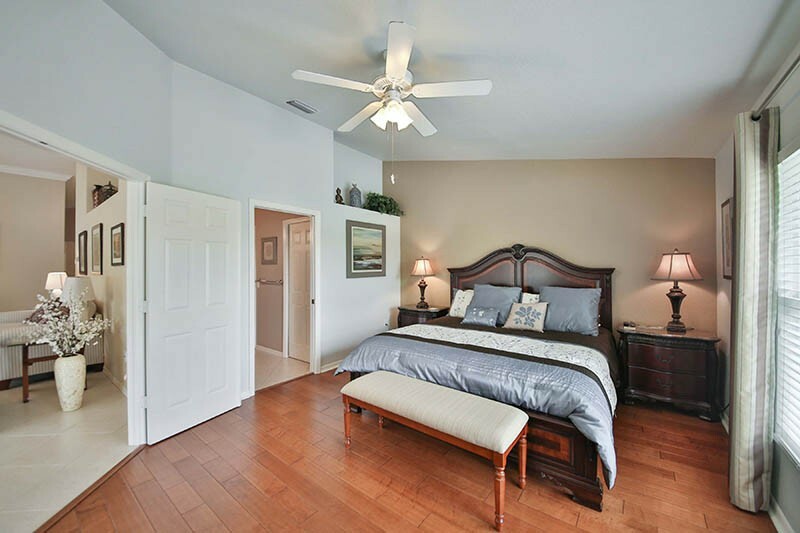 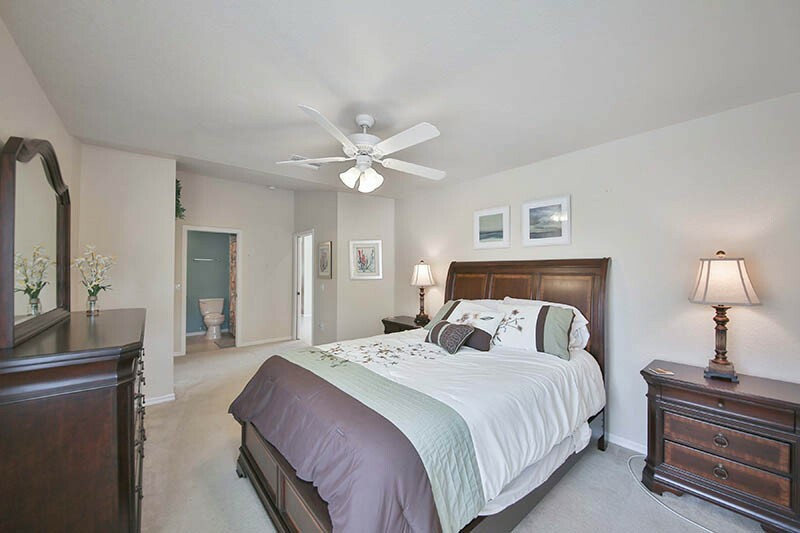 The master suite also overlooks the lake and offers a king sized bed, walk in closets and a tub as well as a shower. 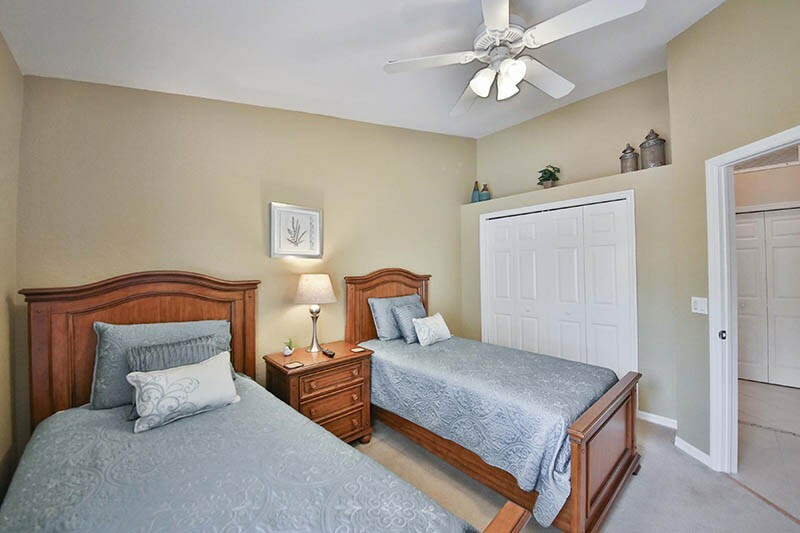 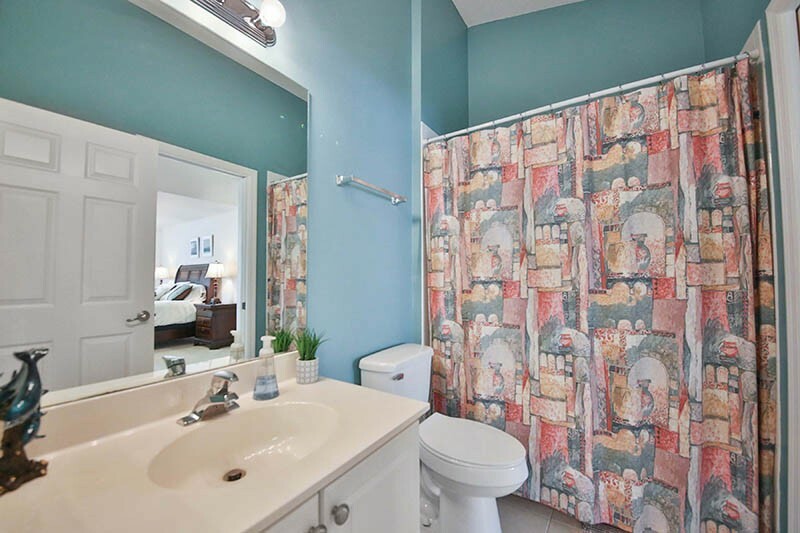 Two separate bedrooms share a bath in the rear of the home and offer both a queen size bed as well as two twin sized beds. 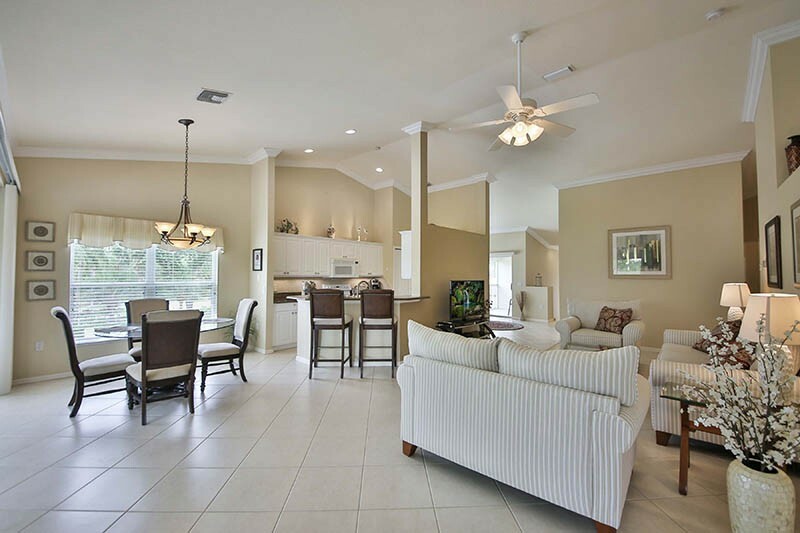 This end-unit has tons of natural light, lots of open space and lives like a single family home. 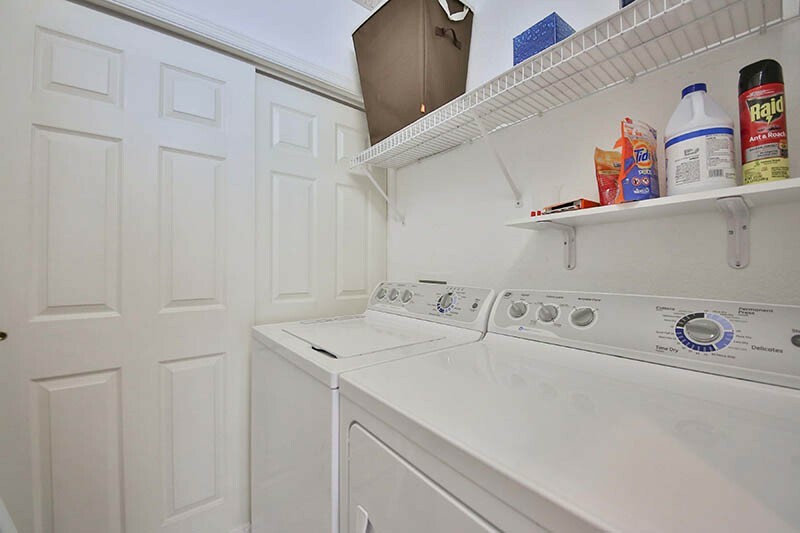 There is a one car garage attached to the unit. 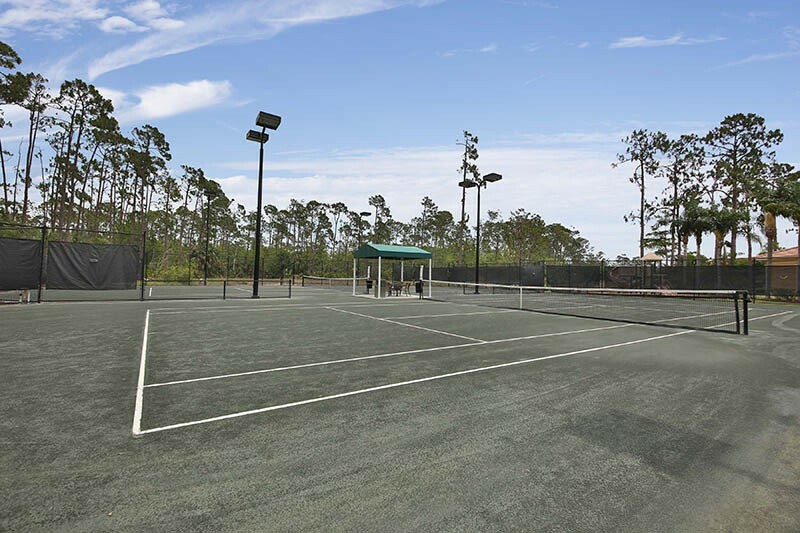 Carlton Lakes is a gated community with a pool, tennis courts, fitness center, and walking paths. 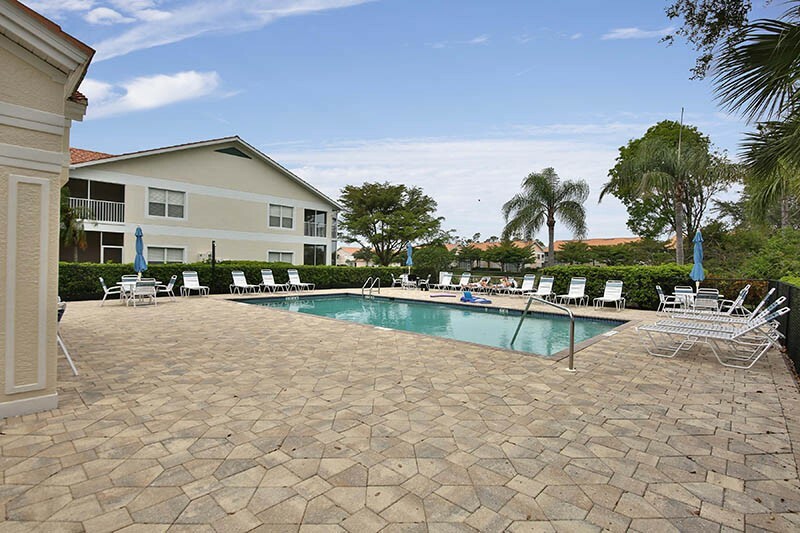 Ideally located near shops and restaurants, grocery stores and parks. 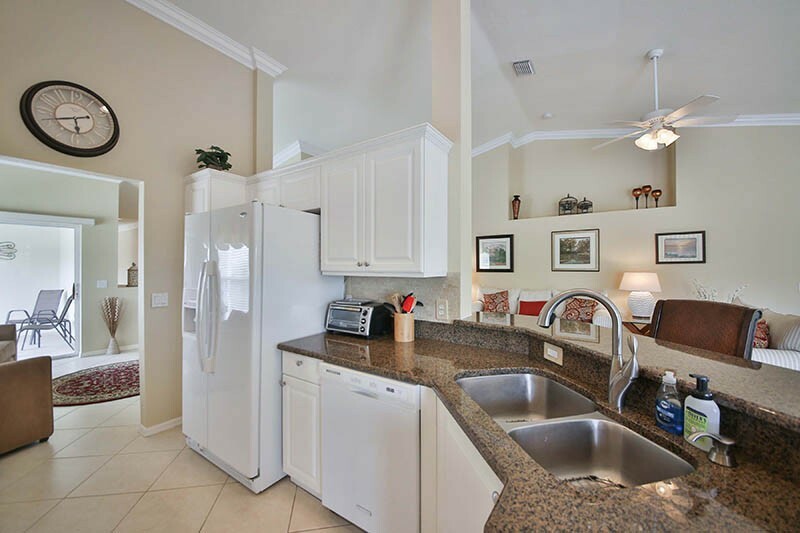 Only 5 miles from the beach at Wiggins Pass State Park. 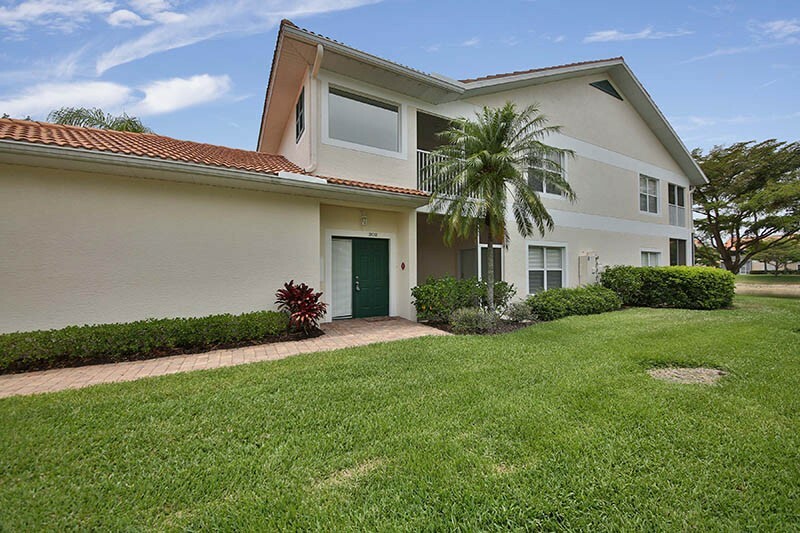 Please call Julie Baron, Broker Associate for more details at 239-250-9369. 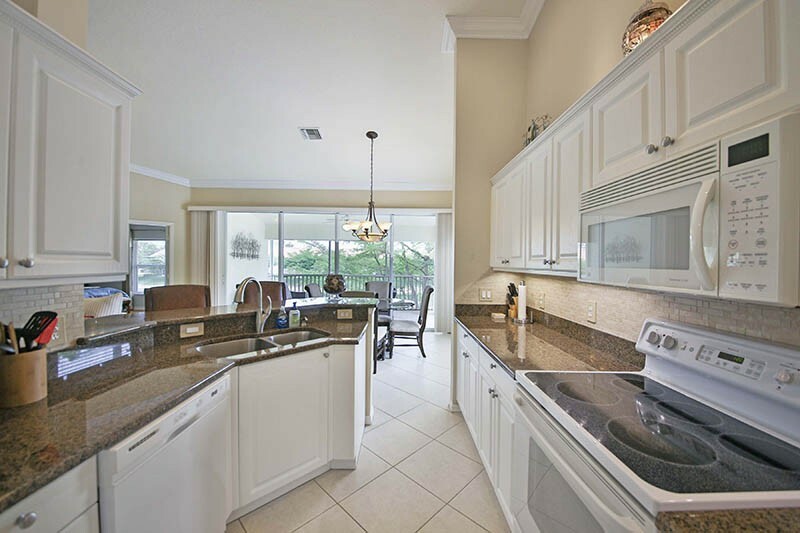 Please contact me with information regarding Spoonbill Cove I Carlton Lakes.